Supervisor Gorin is bringing together representatives from County Fire, CalFire, and California Fire Safe Councils with the goal of providing attendees with an overview of large scale vegetation management efforts in the State and the county. Topics covered include the effects of climate change on vegetation management, and opportunities for funding. Those in attendance will also learn what some local organizations have done, and are planning in the future. 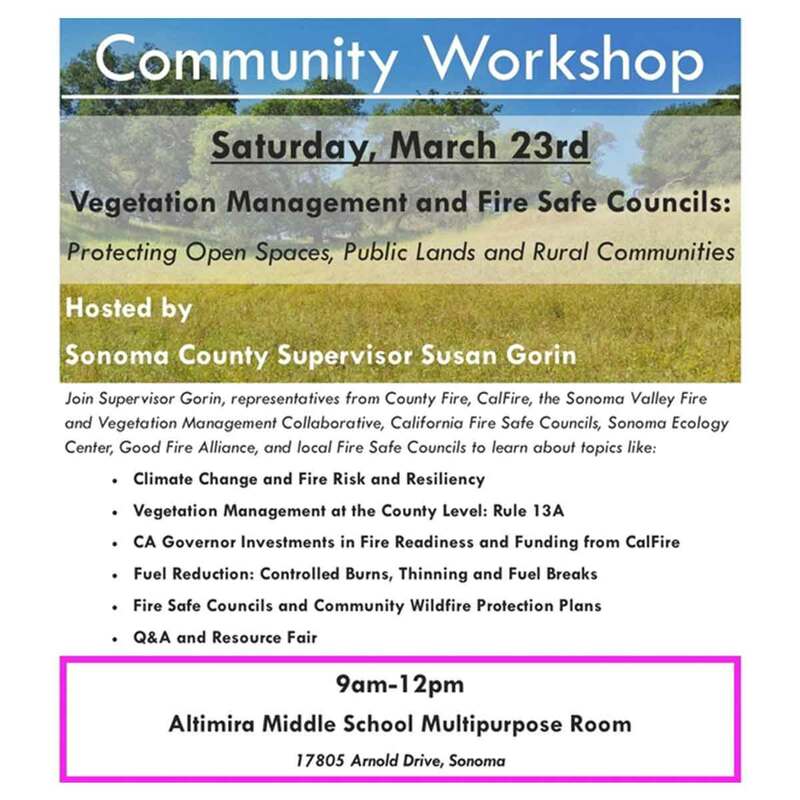 Neighborhood and community groups, HOAs, large property owners, rural residents and anyone who is interested in learning what is being done to improve fire readiness in our county is encouraged to attend. For more on community events hosted by Supervisor Gorin, go to http://sonomacounty.ca.gov/Board-of-Supervisors/District-1/.